Cabinets and enclosures can be made to specification including electrical housings, storage cabinets and machine covers. We can undertake all associated assembly including hinges, grommets, glass paneling, feet, locks and sliding mechanisms as required. 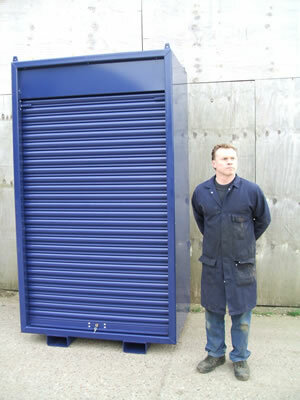 The cabinet below is an example of a forklift truck transportable oversized tool cabinet for a manufacturing facility.